THE JAMMBULANCE IS READY TO ROCK! 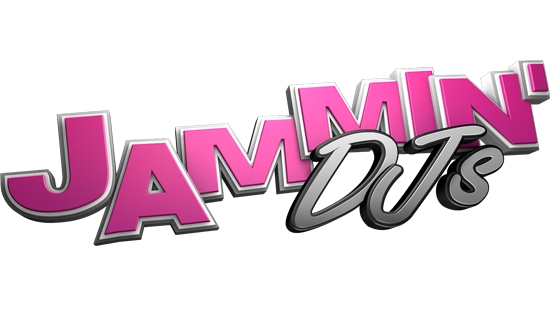 At JAMMIN’ DJs we pride ourselves as being the top DJ service in all of Colorado and providing DJs and MCs to events all over the state. We have top notch talent, top notch equipment but part of our strength is thinking outside the box. We aren’t afraid to do things a bit differently than everyone else and sometimes it shows more than others. Sometimes like our new ‘awesome-mobile’, party central, tail-gating machine, the JAMMBULANCE! Just the name JAMMBULANCE has to bring immediate interest and a smile to your face. The vehicle itself is even better than what the name might bring to your imagination. Renovated from an old 1990’s ambulance, the JAMMBULANCE is a solid brick of pure fun and entertainment. The colorful wrap can be seen from a mile away and everywhere we go people flock for pictures and stare in awe at the colorful auto. It’s not only for looks though and it was built for one purpose. PARTYING! The JAMMMBULANCE is setup for a DJ to rock the party while ON TOP of the roof. Since it was built for ultimate safety, the roof is required by law to be able to hold it’s own weightt in case of a roll over. Because of that feature we are able to stand, set up our equipment and rock YOUR party from twelve feet in the sky. This is all besides the ability to rock any party with our world class equipment and top notch DJs. (several of our JAMMIN’ DJs are radio personalities and work all over the world as behind-the-mic personalities). Sounds like a good addition to your part/tailgate/event right? Well it’s getting even better. As of RIGHT NOW we are getting it set up with two 60 inch T.Vs on each side of the JAMMBULANCE. This will allow for mobile events like JAMMIN’ Trivia, JAMMIN; Feud, JAMMIN’ Beer Pong, JAMMIN’ Corn Hole and much more! We also just purchased a brand new XBOX 1 that we can hook up and have gaming tournaments while blasting our music. Satellite television and sports packages are also on the docket and will be added within the next few weeks. In short, the JAMMBULANCE is a PARTY MACHINE! As the tag line says, painted across the side of the beast, “saving YOUR party!”, we are ready to rock and roll starting right now! I know you’re sitting there thinking how freaking cool this would be for YOUR party and you’re lucky enough that it’s open and available for events immediately and will be all year long. Give JAMMIN’ DJs a call at #303-308-9700, message us on Facebook athttps://www.facebook.com/jammbulance or book an event at MyJamminDJs.com. We are available all day every day to chat and book an event and are PUMPED to get this JAMMBULANCE rockin’! Spring is here, book the JAMMBULANCE before it’s too late!